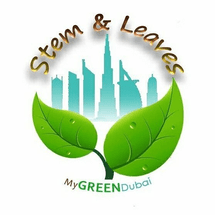 My Green Dubai by Stem and Leaves Flowers Trading LLC is a Dubai-based online Garden Center which started in 2015. Its love for nature especially florae has inspired the creation of beautiful live art in the form of terrariums, fairy gardens, and mini landscapes using a variety of houseplants and succulents available locally. Many studies have revealed that being around plants not only improves your health by producing oxygen and purifying air but it also improves concentration, productivity and increases memory retention by up to 20%. My Green Dubai understands that the fast-paced lifestyle may be of a hindrance for you to enjoy the benefits of nature hence they bring nature to you through creative live art. The group's aim is to encourage everyone to have an opportunity to appreciate the benefits of having florae in their homes and workplaces. From a big potted plant to small terrarium there is always a place for one. My Green Dubai thrives in creating unique designs keeping individual needs, budgets, current trends and taste in mind. This and their in-house green thumbs set them apart from similar local businesses. "Great workshop taught by amazing teacher. I gained good knowledge & techniques. " "Was a fun class and Ambreen is a fabulous instructor..we enjoyed the hands on approach and the lovely setting for class in a garden. "